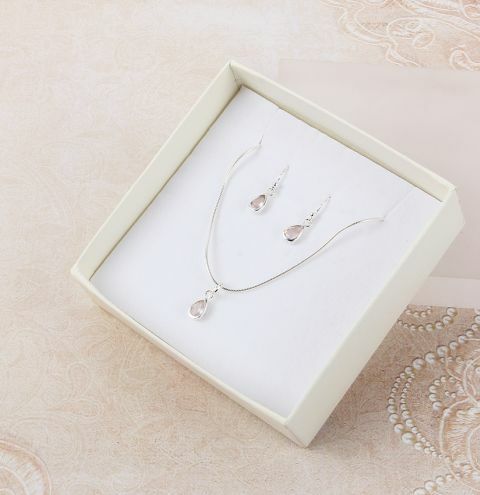 Make a delicate necklace and matching pair of earrings with pretty little drop charms! It'll make the perfect gift for Mother's Day, birthdays or wearing to special occasions. Open a jumpring and link it through the drop charm and onto the necklace chain. To make the earrings, carefully open the loop of the earwires and attach it to the drop charms.